SAN NARCISO, Calif. (Bennington Vale Evening Transcript) -- As the nation prepares to commemorate the anniversary of the massacre at Sandy Hook Elementary in Newtown, Conn., where 20 children were murdered by gunman Adam Lanza, a student at a Colorado high school opened fire on campus Friday, allegedly seeking to confront a particular teacher. NRA Executive Vice President Wayne LaPierre has been tirelessly pressing lawmakers to stop tightening the screws on gun owners, noting that the fear of weapons bans and spartan restrictions have hobbled responsible owners. Today, his dire warnings came to pass again as a pupil at Arapahoe High School in Centennial, Colo., shot two students and then killed himself, according to officials. "We have offered proven remedies, but all are met with unreasonable new laws that take guns away from people who can protect their loved ones," LaPierre said. "And so many of these killings seem to arise from interpersonal disputes, as we saw in Colorado today. Instead of weakening our Constitutional rights by banning weapons, we propose reinstating a tried-and-true American institution, embraced by our Founders, with well documented successes in conflict resolution: the duel." On December 21, 2013, just a week after the tragic shootings that rocked Newtown, NRA leaders addressed the nation with impassioned appeals for enhanced school safety measures, offering to bankroll the programs themselves. Officials for the powerful gun lobby also called on Congress to allocate funds to place armed police officers in every U.S. school. The proposal was met with harsh criticism. In response, President Obama disregarded the advice of NRA experts and signed 23 executive orders designed to impose tighter restrictions. For over a year, the NRA has proposed countless, innovative ways to end gun violence. The Obama administration has rejected every solution. In January, for instance, the NRA launched the "Grammar School Gauntlet" initiative, an NRA-funded program that sponsors the training, arming and licensing of elementary school students. Hall monitors are typically appointed because they have demonstrated responsibility or are so bullied that teachers believe the vaunted position, with its added authority, will instill confidence and empower them to end their abuse. The Grammar School Gauntlet effort furnishes children with guns and teaches them to defend themselves -- and their peers. In May, authorities in Cumberland County, Ky., reported that a five-year-old boy took his .22-caliber rifle from the family's mobile home, went outside and fatally shot his two-year-old sister in the chest while his mother cleaned the kitchen. The NRA explained that if age restrictions were removed, the two-year-old may have been armed and able to defend herself against her twisted, maniacal brother. Again, the White House and the liberal lawmakers it panders to rejected the proposal. LaPierre's most heartfelt entreaty came this July, when he presented research suggesting that Jesus could have overpowered his Roman antagonists with a simple .9mm pistol. Had Christ been armed, the report concluded, God's only son would still be among us. "Guns are our only chance at salvation," LaPierre argued. He also pointed out that most of the recent slaughters in the nation have been perpetrated not by criminals but by average Americans with axes to grind and personal beefs. "The Framers of our Constitution, the very men who breathed life into this Republic, had a program in place that upheld Second Amendment protections while efficiently ending personal confrontations in a manner that protected innocent parties from the violence," LaPierre explained. "We need to bring back the organized and regulated code of the duello, which was irrefutably successful in clearing up vendettas through clean, one-on-one combat." 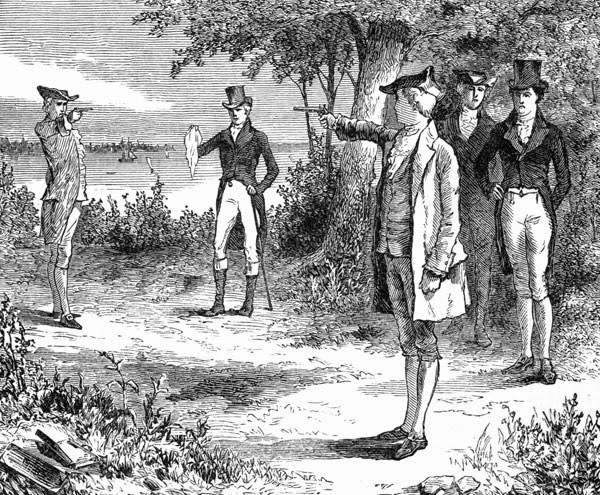 According to all historical accounts, by 1804 dueling had established itself as a fixture in U.S. culture. And for another 30 years or more, its popularity continued to grow, weaving itself deeply into the fabric of American values. The first recorded duel took place in 1621, just a year after the arrival of the Pilgrims. Although early duellers relied chiefly on swords, enlightened people of the 19th century who sought to settle their trivial insults and minor grudges through violence preferred the use of pistols. Interestingly, the system was designed to prevent deadly outcomes. In a typical duel, each party acted through an intermediary whose duty was to attempt negotiating a non-violent reconciliation. An offended party issued a challenge through this person. If the recipient apologized, the matter was closed. If the disagreement escalated into a fight, the recipient chose the weapons, the time and location of the duel. Apologies could be given at any time prior to actual combat, which also would have stopped the duel. In nearly all cases, surgeons were onhand to treat injured parties. "This was a humane and highly respected system of honor," LaPierre said. "President Alexander Hamilton died in a duel with Aaron Burr, but he embraced the system and promoted its worth as an exemplary and courageous protocol for social etiquette." Though the fatal exchange between the men shocked the nation, it was only because of Hamilton's rank -- duelling itself was universally accepted and welcomed. But America today lacks this sense of honor, LaPierre laments. "In this callous age, losers march into schools and kill teachers without proper notice, often maiming innocent bystanders in the process," he said. "Now, that could be remedied if the government would mandate gun ownership for all citizens, but that's unlikely to happen with so many hippies running the Congress. But duelling is more than reasonable; it's a legal precedent that enjoys a long history. 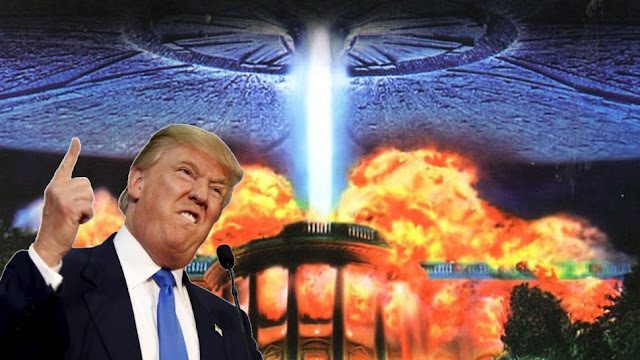 It's an American institution, a part of our patriotic heritage and cultural identity, and it prevents the types of massacres we've been cleaning up since duelling was forsaken by pacifist, liberal, effete politicians who seem to believe that you can starve a man by taking away his food, ignoring the fact that he'll always find something else to eat."